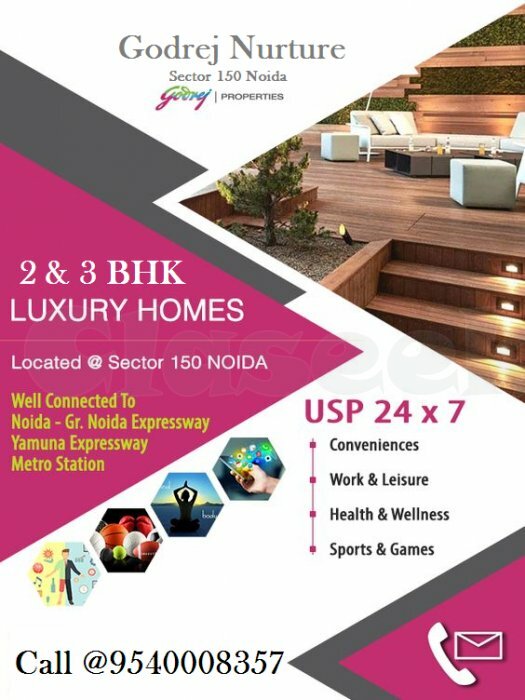 If you are looking for Luxurious Apartments under your budget & also at your desirable location i.e Noida then go for Godrej Nurture sector 150, Noida. 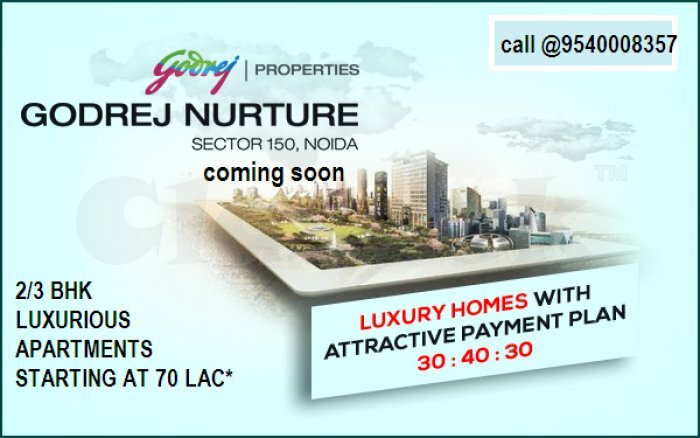 Godrej Nurture is an upcoming residential project by Godrej properties in Noida, sector 150. 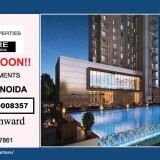 2 & 3 BHK Luxurious homes in the Heart of Noida. 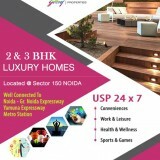 Godrej Group is known as a trusted real estate developer for delivered best residential as well as commercial projects. 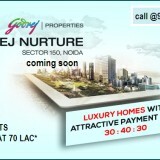 Godrej Nurture offers you wide range of 2 & 3BHK Luxurious flats for sale in Noida. 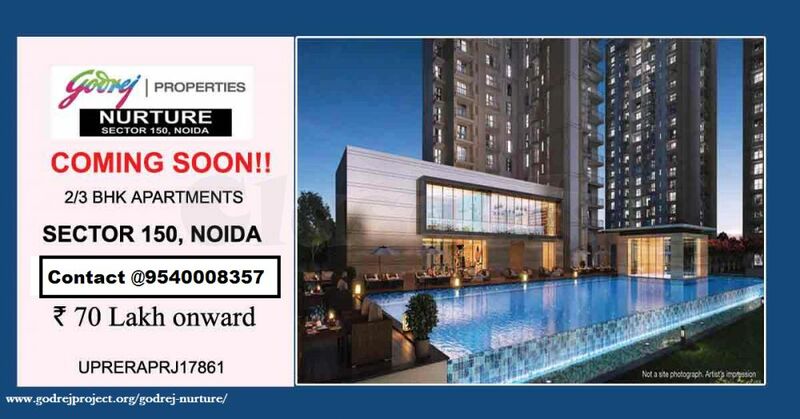 This project provides easy access to Delhi, Faridabad, Greater Noida, and Ghaziabad. 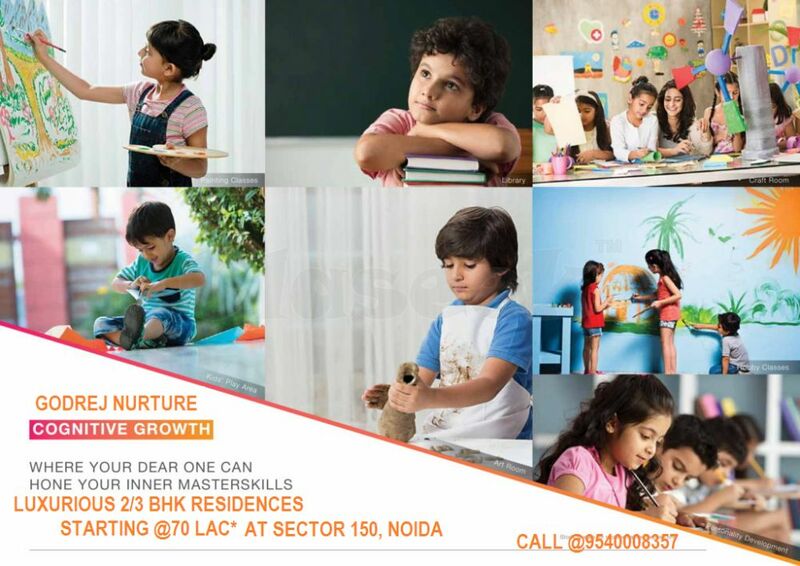 Godrej Nurture project by Godrej Properties is located at Sector 150 in Noida offers lush greenery with excellent views & best interior design. This project is a mixture of luxurious & modern lifestyle offers world-class amenities like Gymnasium, Yoga area, jogging & cycling track, Swimming pools, 24*7 Security System, Kids' Play Area, Educational Institutions & schools, Medical Facilities, Entertainment facilities & many more.